When searching for the best night vision goggles there are many options. We have tested many different night vision devices over the past 12 months and we had the pleasure of testing this Firefield night vision monocular. In the post, we are going to share with you the Firefield Nightfall 2 night vision monocular review. The Firefield Nightfall II 5×50 Night Vision Monocular (Click here to check price on Amazon) is one of those products that make night activities a heck of a lot easier. This was one of the best night vision monoculars that we’ve had the pleasure of working with. The Nightfall II monocular features a much more ergonomic, easy-grip design than other monoculars in the Nightfall family. This night vision device comes equipped with a power-saving PULSE IR illuminator as well as one of the largest objective lenses available on the market. 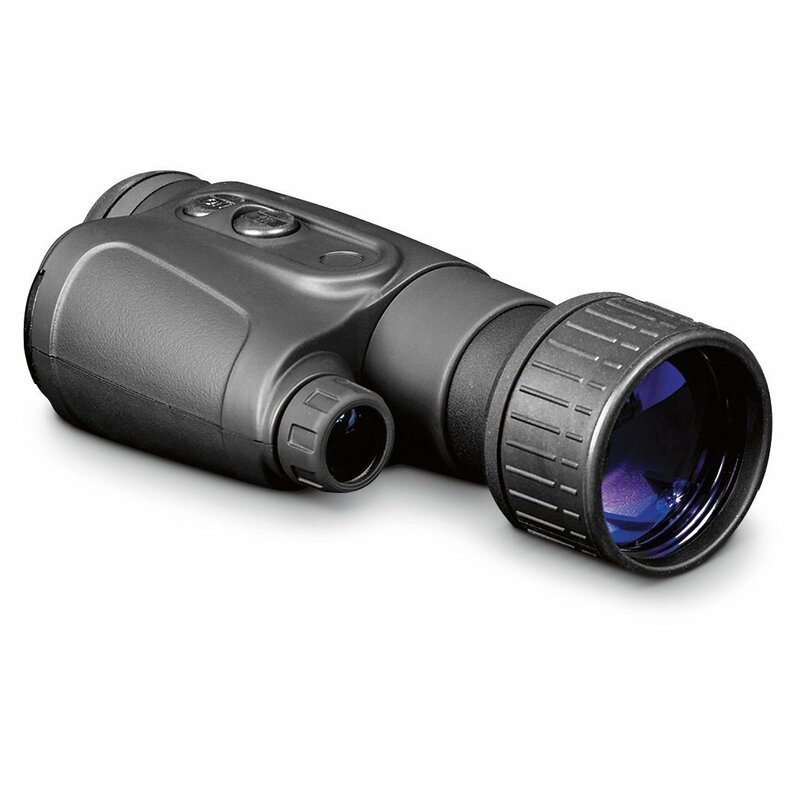 This generation 1 night vision monocular is perfect for a plethora of night time activities. One of the best features of the Firefield Nightfall 2 is its weather resistant design that features a rubber-armored housing that helps to ensure superior durability. Another cool think about this monocular is how compact and extremely lightweight it is.The Firefield Nightfall 2 5×50 NVD offers convenient operation and we recommend it for a variety of activities such as nighttime hunting, search and surveillance, as well as general observation. Which generation is the Firefield Nightfall 2 5×50 Night Vision Monocular? A: The Nightfall 2 is a generation 1 night vision device. A: It is very clear. Q: How far can the Firefield Nightfall II 5×50 Night Vision Monocular see in the dark? A: The Nightfall II can see about 60-70 yards even if the darkest conditions! Q: How long do batteries last in the Firefield Nightfall 2 5×50 Night Vision Monocular? A: This night vision monocular takes two AA batteries and will last around 3 hours with constant usage. We loved testing this night vision device. It was easy to operate, ergonomically designed, and worked well. We recommend this night vision monocular for a wide range of night time activities and think it would be a good fit especially for someone looking for their first night vision device. If you found this Firefield Nightfall 2 5×50 Night Vision Monocular review helpful please take a moment to share this post. To compare the Firefield Nightfall 2 with other great night vision devices, click here for a night vision goggle comparison.